In the spirit of ideas worth spreading, TED has created a program called TEDx. TEDx is a program of local, self-organized events that bring people together to share a TED-like experience. Our event is called TEDxRoadTown, where x = independently organized TED event. At our TEDxRoadTown event, TEDTalks video and live speakers will combine to spark deep discussion and connection in a small group. The TED Conference provides general guidance for the TEDx program, but individual TEDx events, including ours, are self-organized. © 2019 TEDxRoadTown. All Rights Reserved. Powered by GetMeIn Events (International). Adrian Johnson is the Founder and Principal of ASSOCIUM Consultants, a Canadian national consultancy that has provided support for thirty-five years to organizations in the Public, Private and Volunteer sectors. Adrian works with organizations to more effectively address management and workforce issues and to deal with organizational stress resulting from change. His clients have included very large public and broader public sector organizations, large Universities, and very large and successful national and multinational organizations in the service, financial and manufacturing sectors. A very high priority for Adrian is dealing with organizational change in the context of social justice. He conducts organizational interventions in the areas of Strategic Management, General Human Resources Management, and Workforce Diversity. Some notable accomplishments have included participating on the faculty of the Western Judicial Education Centre’s judicial education program “Racial, Ethnic and Cultural Equity” at the University of Saskatchewan; sitting on the Editorial Board of the Prentice-Hall Canada publication “Managing Diversity”; contributing a chapter to an anthology published through the University of Toronto Press entitled Perspectives on Racism and the Human Services Sector; hosting an educational program on public television; and being called as an expert witness before the Courts and Human Rights Commission Panels on multiple occasions. Adrian has provided consulting and guidance in restructuring to scores of large and small NGOs, as they respond to changes in the funding environment. He has also worked with a very large public sector funder to assist in redefining the funding model for the human services sector. He has also been very active as a community volunteer and has served in various executive roles with the Urban Alliance on Race Relations, the Ontario Multicultural Association, the National Employment Equity Network and the United Way of Greater Toronto. These relationships have been invaluable as he has assisted his clients to fulfill their commitments to equality in the workplace. Adrian first coined the term “moral profit” in 1996 as the defining principle behind successful, collective social enterprise. He then found justification in applying the principle as the bulwark for long term success in the for-profit world where the standard for achievement and recognition is all too often confounded by a very narrow, traditional conception of profit and loss. Ajit Mathew George is a serial entrepreneur, creative marketer, veteran TEDx organizer, food & wine aficionado, philanthropist and certified Dream Builder™ Life Coach who divides his time between Wilmington, Delaware and Virgin Gorda, BVI. He has over 40 years of experience in creative marketing, strategic planning, and business development in various arenas from broadcasting and events to non-profits and real estate development. Ajit is the founder of Second Chances Farm, LLC, an organization focused on hiring and giving turn key entrepreneurial opportunities to people returning from prison after serving their sentences through the creation of indoor, vertical farms – or “plant factories.” Second Chances plans to produce organic produce, year-round, in local communities and minimize the carbon footprint of transporting produce. Through Magic Dust, LLC, he helps organizations and individuals build their dreams, accelerate their results, and create richer, more fulfilling lives through Life Coaching, strategic marketing, and event planning. Ajit has sprinkled his “magic dust” to create tons of magical events like First Night Wilmington, Meals from the Masters, Virgin Islands Winemakers Dinners, MidAtlantic Wine + Food Festival, and TEDxWilmington. As the Organizer of TEDxWilmington, Ajit has also produced 32 TEDx events in Delaware since 2012, featuring 486 speakers who have given 466 TEDx talks that have attracted over 16.5 million views. 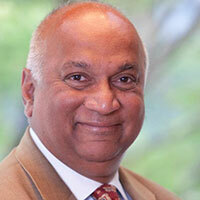 Prior to going into the private sector in 1980, Ajit was Director of Marketing and Membership Services for WHYY in Philadelphia, where he raised millions of dollars for public TV and radio. 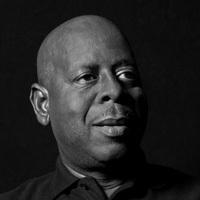 He also served as Managing Director of Nail Bay Resort in Virgin Gorda. Between 1980 and 2010, he was actively involved in real estate development including acquisition, construction, historic renovations, marketing, sales, and property management in the Delaware Valley and the British Virgin Islands. Over the years, Ajit has volunteered thousands of hours for various non-profit organizations in both the U.S. and the BVI including being the Founding Chairman of Meals on Wheels Delaware and the BVI Charitable Fund. He has served as Chairman of the Governor's Council on Family Services, General Convener of Delaware Futures, and President of the Kiwanis Foundation and Kiwanis Club of Wilmington. He was awarded the Governor's Outstanding Volunteer Award of Delaware in 1994, The Jefferson Award in 2002 and 2003 for his work with the YWCA and Meals on Wheels, and The Award for Outstanding Philanthropic Service from the Association of Fundraising Professionals in 2007. 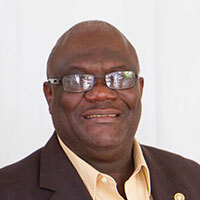 He is currently a member of the Rotary Club of Wilmington, Delaware a former charter member of the Rotary Club Sunrise of Road Town, BVI, and received the Paul Harris Award by Rotary International from the Rotary Club of Tortola in 2006. 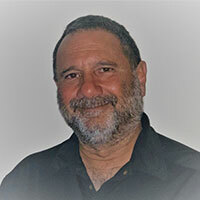 Ajit served on the Board of Directors for the BVI Tourist Board. Ajit was born to Indian parents, brought up in Kuwait, and moved to the U.S. at age 16 where he attended the University of Delaware and received his undergraduate and graduate degree in organization development from Antioch University. He is a passionate gardener who has planted over 1,500 plants at Sunset Watch Villa, his home in Virgin Gorda. Pastor Caleb Lucien completed his primary and secondary education at College Pratique du Nord in Cap Haitien. He subsequently completed a Master in Education and a Master of Theology at Dallas Theological Seminary where he was named an Academic All American. Right after College, Caleb founded Hosean International Ministries with the vision of empowering Haitians through Education, Faith , Life Skills training, and Business and Economic Development. Through Hosean he inaugurated Camp de La Grâce, as well as several schools ranging from a Conference and Activity Center Lapila Christian School , a k-6 grade school, and directed College de la Grace, a K-13 grade school with a current enrollment of 1180 students, and the Layton Memorial Children’s Home, a Foster home to more than 50 kids who are now pastors, teachers, engineers , nurses , doctors, airplane mechanic. In 1984 and 1988 he was among the first responders to bring help bring relief estimated at more than 1.8 million dollars to the victims of the floods in Gonaives. In 2016 , he responded the day after Hurricane Matthew hit the south and had helped rebuild 6 schools and 7 churches. In 2010 , 1500 people were evacuated from Port au Prince and had found shelters at Camp de La Grace for 10 months . Out of these 1500, 850 children were dispatched into various schools in the community of Pignon at the charge of Hosean International Ministries. Pastor Lucien has taught at the Lay Institute at Dallas Theological Seminary for two years. 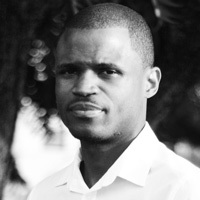 He has also taught at the South Florida extension program for Moody Bible Institute, the Seminaire Théologique Baptiste du Limbe, among other institutions. He has lectured and preached across the United States, Brazil, Argentina, Uganda, Kenya, Dominican Republic and several other countries around the world. He has also served as Associate Pastor of Pilgrim Rest Baptist Church in DC, Jerusalem Baptist Church in Pignon and Eglise Evangelique Libre du Cap Haïtien . He has served his club in many capacities over the years as well as his district . He has served as Assistant Governor, chairman of the Health and Hunger area of focus, Chairman of Environment, member of the Haïti Task Force, founding member of Rotah, , Youth Exchange Co Chair and Chair and has been a Technical Cadre Member since 2006. Caleb was the conference chair for the District Conference 2018. He is a multiple Paul Harris fellow, has attended 19 District conferences and 6 International Conventions. Caleb has also served as one of the district trainers for PETS in more than 8 District conferences. Caleb’s pastime is writing poetry, and reading and enjoy listening to Haitian Old good music. He is a member of School Administrators Association, and a founding member of the Association of American Christian Counselors. My thirst for knowledge of prehistoric science from early childhood days just got stronger as I grew older. Due to this curious nature that I learnt to appreciate the intricacies of the world. Born in Puerto Rico and grown up in the British Virgin Islands I always wanted to explore the world. This ever-growing curiosity took me to the heights of Browns Park in the mountain valley of Utah and the largest complete record of prehistoric science in museums in Utah- A vacation with archeologists and paleontologists to get the facts directly from the experts. Through my passion for research I have been able to learn many fascinating and not so fascinating things beyond my school's curriculum. My strong foundation at Century House Montessori School is where my compassion for people, animals and the preservation and smart development of the environment bloomed. This was topped off with the ever exciting IB curriculum at Cedar International School. I was absorbed with a multitude of extra-curricular activities such as sailing, guitar lessons, karate, soccer and more. At the end of my PYP years at Cedar I suddenly fell terribly ill with a simple knee pain which got worse and within a week I was diagnosed with Stage 4 Burkett’s Leukemia. 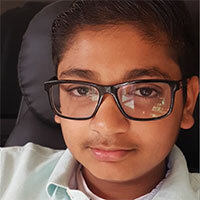 I was told without immediate treatment I have 2 days to live, at just 11 years old. Secluded in a hospital bed, unable to walk or do much for myself, I’m often left with my imagination wandering to all the places I love to explore and things I wanted to do. I always knew that I would want to tell my story. Like every other kid I never thought I would get cancer. However, I was desperate to recover and use all my effort to spread awareness of the disease and give back to the world after being given a second chance in life. Upon my return to the BVI I restarted school with even more enthusiasm than before. It is a global youth-led community action program, comprised of thousands of young people inspired to care for our planet and everyone sharing it. Roots and Shoots BVI was instituted and now in operation from this idea. To date we have completed several successful projects. Whether its distributing kindness cards for a donation to the Humane Society, or wearing solidarity colors for childhood cancer awareness, planting trees on school campus, hosting Game Changers for Family Board Game Night and donating the games to Rainbow Children Home or sharing my story as cancer survivor at my hospital during the holiday season and gifting inspirational cards to families currently fighting their battles with the disease. Roots and Shoots BVI is moving up with intense motivation and everyone is encouraged to join in our efforts whether as a member, volunteer or a sponsor. Gia Biagi is a Principal at Studio Gang, an architecture and urban design collective headquartered in Chicago with offices in New York, San Francisco, and Paris. 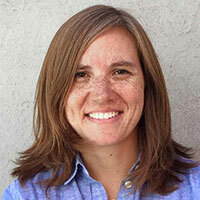 At Studio Gang, she leads the urbanism + civic impact practice that specializes in urban design, planning, and strategy. The work is centered on how to move toward equity, mutuality, and positive change in cities by working with a range of partners including community-based organizations, cultural institutions, developers, government, and other public and private groups and individuals. 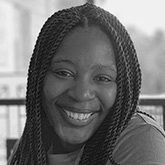 Prior to joining Studio Gang, Gia worked for the City of Chicago and held posts at the Park District that included Director of Planning, Director of Strategy and Policy, and Chief of Staff. While at the City, she led multi-year planning, design, and community engagement efforts that produced signature civic projects like Maggie Daley Park, Northerly Island, The 606 Trail, and the City’s first parks and recreation Strategic Plan in nearly two decades. Gia serves as President of NeighborSpace, a non-profit land trust that provides community-based management and long-term protection to over 100 urban gardens across Chicago. She is also a member of the Urban Land Institute and Lambda Alpha International, an honorary society for the study of land economics. Joe Brittingham was born and raised in California and is in his 23rd year as a financial advisor in Pismo Beach, CA. After 16 years serving investors with U.S. based investment firm giant Edward Jones, Joe and his team launched Brittingham Financial Group, a full service investment management and financial planning firm. Joe graduated from the University of California at Santa Barbara in with a degree in Psychology (1994) with some additional concentration and study in economics. Joe is an entrepreneur and is a Certified Financial Planner TM helping investors plan for and enjoy the retirement years. Joe and his wife Christin have been married for almost 25 years and have four teenage children who enjoy the beauty and climate of California’s Central Coast in the County of San Luis Obispo. During his years at UCSB, and to raise the needed money for college, Joe’s first business was in working with the Southwestern Company in Nashville, TN selling books door to door, recruiting and training students in the program and managing the sales organization he built during those years. Joe loves kitesurfing, yoga, tennis, traveling and playing chess. He particularly enjoys new experiences, seeing new places and cultures and with his family, and collaborating with bright minds who aim to make a difference in the world. Joe believes in leadership by example and that personal growth comes from pushing through one’s “comfort zone”. His favorite expression is “Carpe Diem”. Nea Talbot is an organic farmer and educator in the British Virgin Islands. Nea is the founder of Full Belly Farm and the Lead Garden Coordinator for Green VI, a grassroots NGO. She is also a member of the BVI Farmers Network and is committed to advocating for ecologically-centred, heritage-led regeneration of our agricultural sector. In a region facing unprecedented challenges in the wake of natural disasters and evident symptoms of climate change, Nea is an advocate for agricultural reform and an awakening to the need for sustainable food systems in small island nations. Shannon Gore always wanted to be a marine scientist but gave up on that dream when she did her first dive at 14 and HATED IT! Four years later she forced herself to learn to dive while living in Australia just so she could say she dove the Great Barrier Reef. Game changer! She went on to work over 20 years as a marine biologist in Turks and Caicos, USVI and BVI. Shannon's contributions to BVI environmental advocacy and awareness include serving 11 years at the Conservation and Fisheries Department, creating the BVI Marine Awareness Guide, developing and co-authoring “Best Management Practices, A guide to reducing erosion in the BVI”, making the coral nurseries happen, completing her PhD was on beach geomorphology & management, contributing to the IRF Environmental Profiles, and reviving the BVI’s first environmental non-profit – the Association of Reef Keepers “ARK”. Shannon's goal is for ARK to become a powerful locally and regionally recognised entity that changes the way people view marine resources through education, scientific research and community engagement. Shannon is the principal consultant at her own company Coastal Management Consulting (CMC), a board member of the BVI Climate Change Trust Fund, and a proponent for building private and public partnerships to ensure the preservation and sustainability of the BVIs natural environment since the Government cannot do it alone. 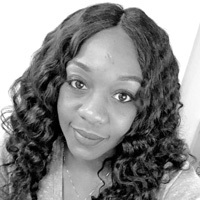 Toni Lane is an artrepreneur in the Digital Currency | Blockchain Industry, and well-respected leader in the movement for global sovereign unity. She works closely with Indigenous Nations, and is a core founder at several impactful ventures in blockchain, including media network CoinTelegraph. Miss Lane is currently creating CULTU.RE, a company working toward global citizenship through cooperation, and the evolution of \"government\" into networks of communities beyond borders; a stateless global society. She is an empath, investor, artist, advisory board member, transformational evangelist and founder who has been affectionately entitled “The Joan of Arc of Blockchain” by her peers and various publications. Miss Lane serves, or has served as an advisor | consultant to several notable companies, funds and family offices, including, but not limited to: SingularityU, Polymath Network, Factom, Propy, HSBC, Cicso, the government of Saint Lucia, P & G, Institute for the Future and St.Gallen Symposium. She has been a figurehead for the use of technology to enable peaceful evolution into new forms of societal structures.Her speaking has reached over 1mm people through an amalgamation of stages, including BigThink, TEDx, Simulation Series, Future Thinkers, Crypto Finance Conference, Katapult, Polycon, Innovate your State, DraperU, NEXUSearth, Exponential Finance, World Crypto Economic Forum, Blockchain Economic Forum, and many others. Miss Lane is grateful to have been given the opportunity to be of service toward these accomplishments and retains the perspective that every idea of who a person \"is\" appears irrelevant in the face of time.True unconditional love and friendship; what matters. 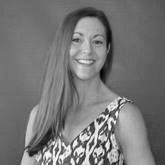 Abby has branched out into several fields since returning to the BVI after studying and working in the Europe for the last ten years. These include, Event Management and Green Technology Distribution in the BVI. In 2010 Abby founded the BVI Go Green Festival which had its inaugural event that June. The Scuba Diving and Swimming Instructor has always been a Water Sports enthusiast and has been a Regatta Sailor since childhood. 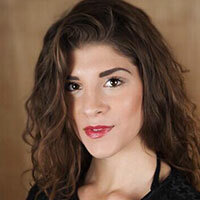 Abby currently serves as Public Relations Director on the Board of Directors of KATS (Kids And The Sea). The Non–Profit was founded in the BVI in 1990 to teach Basic Sea Skills, Swimming and Rowing to youth in the BVI. Abby has been an instructor with KATS since she was 14. 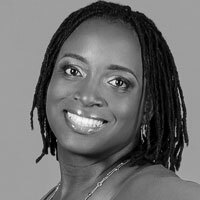 She is also a Director of Green VI, a Non-Profit with the aim of educating the people of the BVI about Climate Change and beginning the generational change towards greener living. Abby’s first qualifications are in Fashion Design. She worked in Marketing and & Public Relations in Europe between 2002 and 2007, having most recently completed studies in Advertising, Public Relations and Print Journalism. In 2005 Abby Co-Founded the Artists’ Guild of the BVI, a Non-Profit aimed at establishing a sustainable Creative Industry in the BVI. The Guild has a number of Professional BVI Artist Members who promote their work as a group locally and internationally. The Artist’s’ Guild is currently working to establish the BVI’s first National Art Gallery. 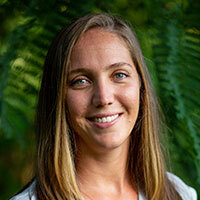 Abby is currently the Online Marketing Manager for the BVI Tourist Board. In 2013 Abby Co-Founded the BVI Wine & Food Festival which staged its first annual event in November of 2013 featuring world renowned award winning chefs Francois Payard, Cesare Casella, Ron Durpat and Jennifer Carroll. Originally from the Virgin Islands, I am currently studying medicine at Swansea University. I participate in a number of organisations including Swansea's Rural and Remote Health in Medical Education track, Clinical Leadership for Improving Patient Services Society and Swansea University dance society. In my spare time I sing and dance (although not at the same time) and I enjoy participating in performing arts. My ambition is to use the medical and life skills I'm gaining during my studies to improve the provision of health services in the Virgin Islands. Born and raised in the Virgin Islands, I am a proud Islander. I earned my Bachelors of Science degree in Graphic Design & Illustrations in 2010 at the Arts Institute of Pittsburgh, PA, where I then returned home to use my skills to the best of my ability in my community. My work spans from branding and editorial design to art direction, layouts & illustration. Through taking the inherent personality and condition of a project into consideration, I try create powerful aesthetics that form a life of their own. Overall, my aim is to create great experiences and real connections through my designs, and be able to explore various fields through collaboration with other professionals in art industry. In my free time when my creativity is at rest I enjoy going to the beach, though I can not swim and going to the gym as I absolutely enjoy trying new foods (a little too much!). Asiyah Grant is on disability leave from Scotia Bank, where she was a Relationships Manager. She was in a near fatal car accident on February 1, 2014. It is by the grace of God that she is here today. As a certified Civil Engineer, she also worked for the BVI Ports Authority as the Ports Engineer. Asiyah received a Bachelors of Science in the field of Civil Engineering from the State University of New York at Buffalo. With that degree she moved (a.k.a drove) all over the United States with the Federal Highway Administration where she worked to install roads, tunnels, and bridges. Her favorite assignment was when she worked in NJ as part of the team to implement the EZ pass system in NYC. She is a native New Yorker who always wanted to explore the world. She took her first adventure when she went away to college and then a second adventure when she took her first job out of college. They both moved her all over the country. But her latest adventure was to move to the BVI where she got married and decided that the warmer climate worked best for her. Danika Stoutt is a Special Educator who currently works with the McLain Association for Children in Tbilisi, Republic of Georgia. 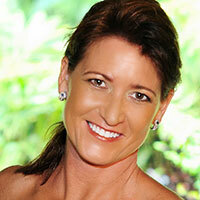 In addition to working in the BVI, she has also held teaching positions in California and the BVI. What excites you about TED? Based on my work over the years in education, I have come to believe that there are two important things that can inspire people to create change: curiosity and connection. How much does this topic make you want to learn more about it? How does this topic relate to your life? By allowing for a variety of speakers and locations, all linked through one forum, TED has created experiences that continuously encourage people--no matter where you are-- to be curious, and to make those connections. 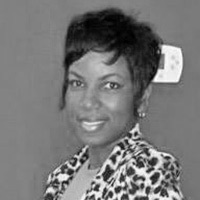 Boasting sixteen years experience in the Caribbean and NCIDQ certification, her designs are proven sustainable solutions. Carson’s portfolio reflects a vast range including the main offices for Conyers Dill & Pearman, KPMG, the new renovation for YCCS, Nanny Cay and Brandywine developments along with numerous others in all facets of commercial, residential and hospitality design. From producing interior architectural documentation, and site-work to procurement, her firm has expansive relationships with fabricators, suppliers and resources that are sure to be vital to any design project. Debi is a well sought after artist in our region. You can find her artwork displayed in Commercial Offices, Private Collections in the US and throughout the Caribbean, and Hospitality installations such as Peter Island. Her piece “Neon Energy” was selected to represent the BVI in the Pan-Am Olympics in 2015. Her latest installation is the Gallery at IAC here in Road Town. Debi has a passion for art and design, and you can often find her in our community teaching art to children, the young at heart or in search of the next great opportunity to collaborate in creative projects. Photography has always been a passion for me John F. Black, a 4th generation photographer with over 11 years experience. With the introduction of video in the DSLR cameras I embraced and incorporated videos into my portfolio five years ago. My main genres are events of any kind, especially weddings, portraits, drone photography (my passion) and real estate villa promo videos. My two greatest pieces of work to date are two amazing drone videos featuring beautiful BVI sceneries from the series DRONELIFEBVI received enormous feedback worldwide. To the tune of over 220k views on my fb social media page https://www.facebook.com/jblakx1/. Kaletha Henry is a city gal with southern roots on a journey through the Caribbean world. 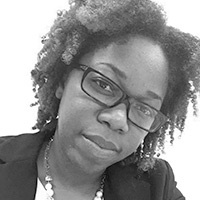 A proficient writer and communicator, she is the owner of Media Matters – a media, communications and public relations agency based on Tortola that provides first-rate communications services to companies, small businesses and individuals seeking to build and promote their brand, product, or service. Kaletha is a visual artist who has a thirst for learning and discovering. Passionate about the arts, she has become a collector of paintings, photography, and illustrations from artists in Latin America and the Caribbean. She believes traveling offers a well-rounded educational experience that exceeds the confines of a classroom, and she believes everyone should have access to free and exceptional higher learning opportunities. As a radio host she’s able to address issues facing teens and young adults through a roundtable discussion and open questions from callers within the community and overseas. She holds an extensive writing portfolio that includes articles published in lifestyle, entertainment, business, and women’s magazines. Kaletha believes food is a key connection to breaking barriers and writes about culinary experiences. She is currently working on a documentary photography project. 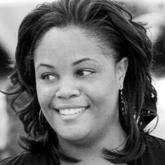 Lavina Liburd is the founder and Principal of TigerQi Architecture, a boutique design firm based in the British Virgin Islands, with current projects in the BVI and St. Kitts-Nevis. Her work includes commercial buildings, luxury residential developments, and single family homes, as well as corporate, medical, and retail interior fit-out projects. 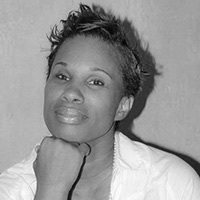 Prior to founding TigerQi Architecture, Lavina was a lead designer and Project Architect with OBMI (BVI) for seven years. 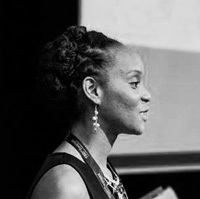 After receiving her professional degree in Architecture from Florida A&M University, Lavina practiced in the San Francisco Bay Area for seven years before moving to the BVI. While in the Bay Area, she worked on significant civic and institutional projects including the San Francisco International Airport, the San Francisco Youth Guidance Center, and the design of two Outpatient Clinics for the Santa Clara Valley Health and Hospital System. She was also an active member of the Organization of Women Architects, achieved First Kyu in Cuong Nhu at the Tuyet Tan Dojo, and earned a Master's of Science from the University of California at Berkeley, College of Environmental Design. Lavina became a Rotarian at the Rotary Club of Road Town, BVI, in July 2008 and was awarded a Paul Harris Fellow by her club in June 2009. Over the following years she has served on the board of her club as Vice President, twice as Membership Director, and most recently as Public Relations Director. She was also a member of the Public Relations Committee for the 2013 Rotary District 7020 Conference in the BVI. A native of St. Kitts-Nevis, Lavina attended the Basseterre High School, and was part of the inaugural class of the Clarence Fitzroy Bryant College of Further Education. There she sat University of Cambridge ‘A’ Levels and was awarded the State Scholarship on graduation. An avid reader, Lavina loves but avoids the boating culture of the BVI as she gets horribly sea-sick. So at home or on the beach she reads Science Fiction and Fantasy for its reflection on, and analysis of human values and cultures, and it's attempt to imagine beyond. Reymar Gooding has been advising businesses, organizations, and individuals on how to use both web and mobile technologies to automate and streamline their operations since graduating from the University of the West Indies, Cave Hill Campus, with honors in 2006. During his final year, Reymar launched Picture2Life, a popular online photo editing application which has been featured in PC World Magazine, September 2008 issue and has gained more than 100 million page views to date. Mavis Small Abednego moved to the British Virgin Islands over 20 years ago. She teaches high school English. Mavis has shared her love of English, Literature and Communication Studies with students from middle school level up to the university level. She holds a BA in Political Science from the University of the Virgin Islands and a MSc in Reading Education from CUNY. Over the years, Mavis has come to appreciate TED as a learning resource for both her students and for herself.In true TED addict fashion, she started with a few interesting videos and now consistently consumes talks on topics ranging from poetry to science to design and more, in video format and in podcasts.